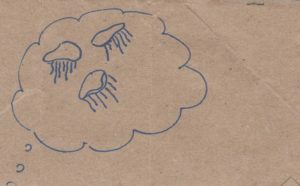 To dream of jellyfish suggests you have to be aware of your surroundings. Most varieties of jellyfish are harmless, until they sting you. Their traits are being quiet, while alert to invaders to their space. In waking life, there are people who seem to be agreeable and harmonious, until they get angry and wake up from their genial state.